[Gifts between friends] Give gifts for Easter! Easter is this weekend! Chocolate, rabbits and hens are invade OhMyDollz. A selection of gifts is available to celebrate this event. 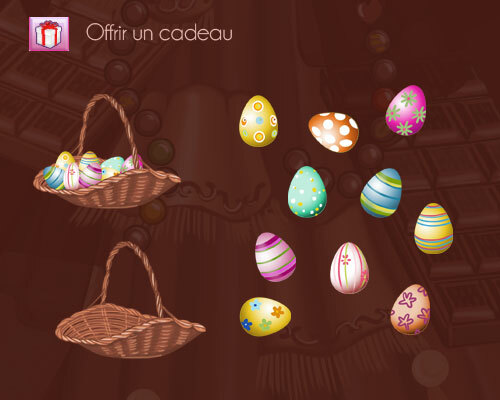 Take advantage of this weekend to offer chocolate eggs! It’s time to please your friends! How to offer a gift to a friend? You will need “gift vouchers” to send a gift. If you’re running out of gift vouchers , find them directly at the Bank! This selection of gifts will be available until Sunday at 11:59pm (Paris hour). Spoil your friends with chocolate on OhMyDollz!